This lipstick is the best lipstick I have tried so far, next to my Matte Lipstick from AVON. 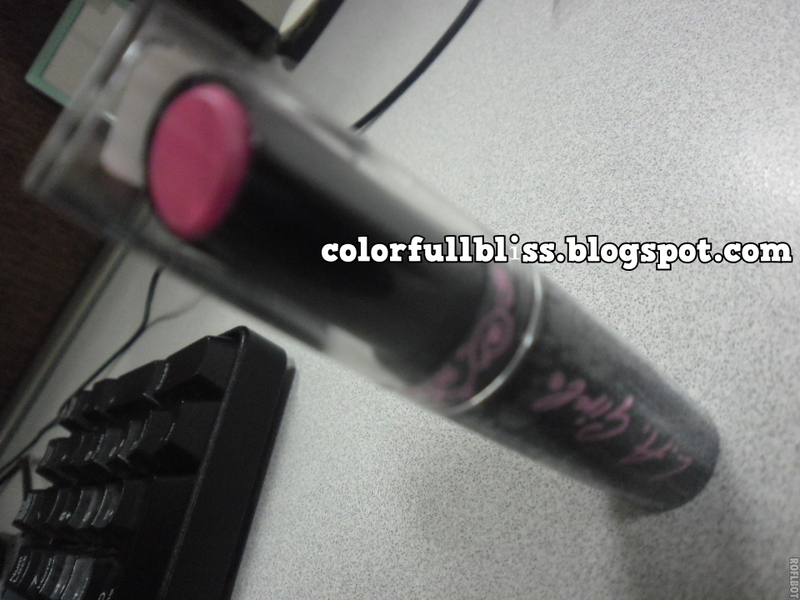 True to its statement, this lipstick is highly pigmented and feels so light on the lips. You also don’t need to put lipgloss or lip balm since it is already creamy once applied. You can really feel it upon gliding it on your lips. You can opt to use a lip brush for a more precise application on your lips, as for me I find it really creamy, it glides easily too. Very compact case, does not open easily. Vitamin E enriched so gives that fullness on your lips leaving it healthier. None. This product is the best I’ve tried as of this writing. Have you tried LA Girl Lipsticks, too? hi eyah! yes the concealers are great. plus the good coverage on the face.